Since we had so much fun doing Castlevania themed stages last time on Making It Rainfall, we decided to do another set of tributes for Zelda this time! This was mostly spurred by our collective excitement for Breath of the Wild, and you’ll see a wide variety of diverse and colorful stages here. 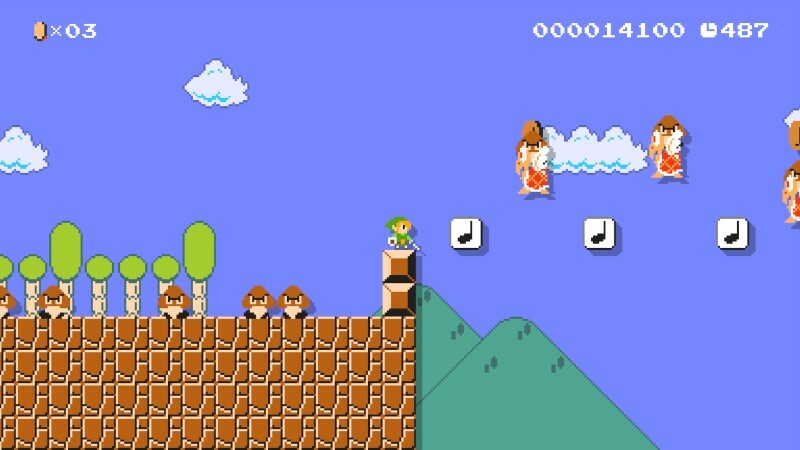 My one complaint is that we couldn’t incorporate Zelda tunes in any of the stages, but our writers did a great job of making some interesting levels. Also, since Monday was the Fourth of July, that’s the reason this went out later than usual today. Take a gander at these 6 great levels, which I have playtested, and please feel free to leave constructive feedback or stars online! I’ve wanted to do a level that uses the Kuribo Shoe’s ability to walk on spiky objects. 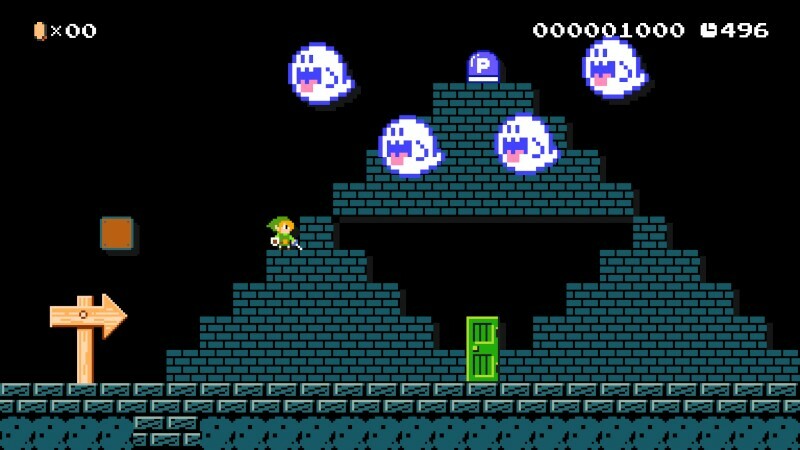 It’s a short puzzle level that requires some quick thinking and reflexes. There’s a boss fight at the end, and I give the player three Link mystery mushroom costumes to choose from. I wanted to do a level that reminded me of Ocarina of Time, so I did a sort of tribute to the section where Link has to make his way through a confusing forest full of dead ends and riddles. While there are no riddles here, there are multiple paths to success, including one hidden path that has you transform into Ganon himself! Likewise, there are three distinct paths to the end flag. I hope you enjoy your stroll through the forest, I had a lot of fun designing this stage. Toon Link has wandered into the Mushroom Kingdom! Unfortunately, he wandered right into a town full of nasty, cranky Goombas! 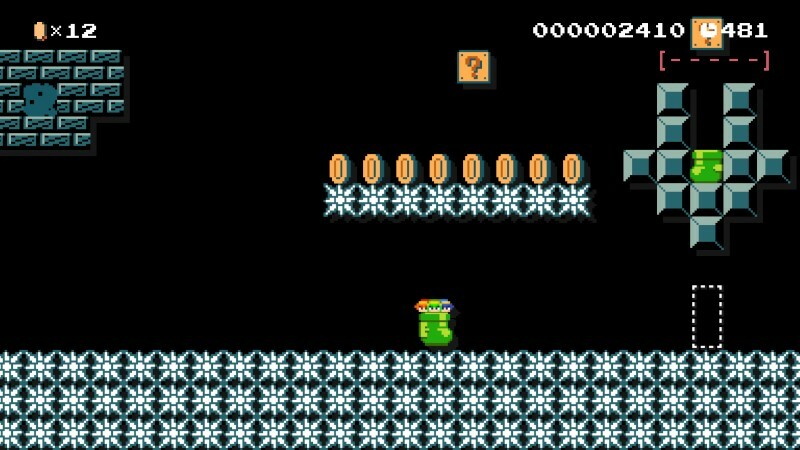 This is a very long, platforming heavy level, with lots of twists and turns, and even a hidden path to a extra 1UP Mushroom. 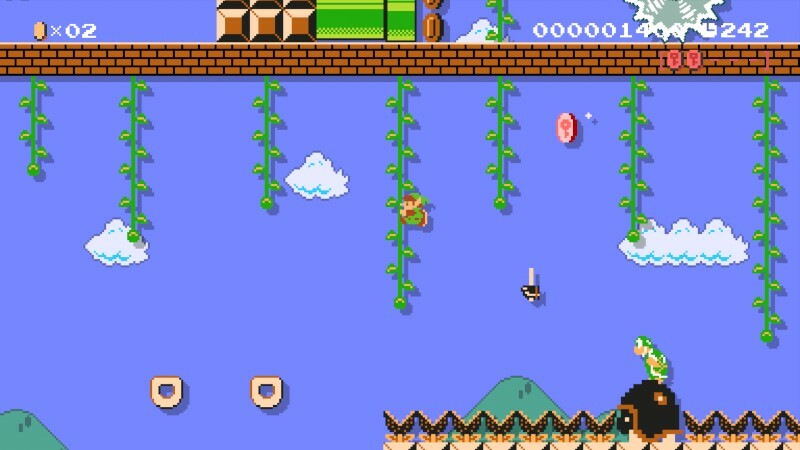 My favorite part of this level is the way you have to make your way to the end flag by making leaps of faith off giant Goomba noggins! The Triforce has become corrupted by the forces of the undead, and it’s up to three legendary Zelda icons to save it! Play through 3 distinct challenging sections as Toon Link, Shiek and even Ganondorf to help cleanse the Triforce of Boo corruption. A relatively short but hopefully fun level. I decided to make this Zelda themed level take after the new upcoming Zelda game, Breath of the Wild. 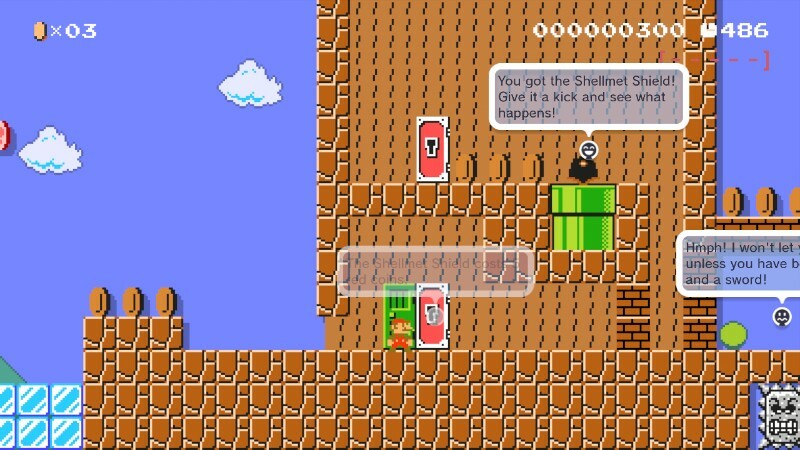 There are two shrines in this level, both of which are required to help you advance to the goal. 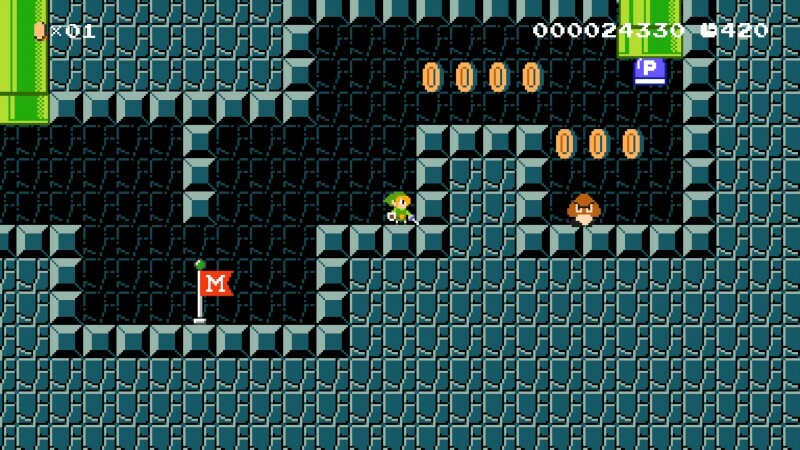 There are several 1-Ups hidden across the level as always, and lots of coins, just because. It’s Mario, so of course there are lots of coins! I hope you have fun with this level! Kokiri Forest is exactly what it sounds like–a play on the area from Ocarina of Time. There have already been tons of Deku Tree levels, but I wanted to do one that treats it a little differently. Plus, in this one you’ll have to get the sword and shield before you can get to the tree at all. That’s it for this week’s Making It Rainfall! I want to take a quick moment to thank Phil Schipper for all his help with this series, and bid him a fond farewell as he moves from oprainfall to some exciting life decisions. This will be the last time he contributes to Making It Rainfall, and we’ll all miss having him around. Join us later this month for another installment.